If you don’t know the language of the country you are traveling in, it can become a huge challenge to take a taxi. 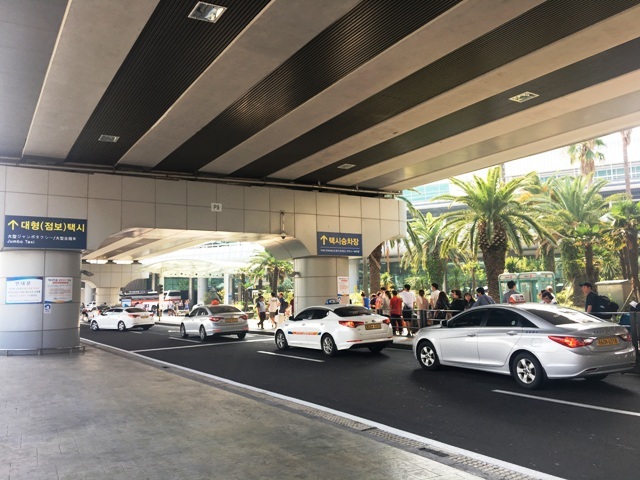 If you are worried about taking a taxi during your stay on Jeju, here are some useful tips to help relieve your worries. The standard bus fare in Jeju is 1,200 won per person. A taxi for any distance up to two kilometers is 2,800 won. Because of this, if the distance you are going is less than 2 km (or slightly more) you will save money! Global taxi drivers are taxi drivers that speak a foreign language. You can call a global taxi by phoning 1899-4314 and then pressing number one for English, number two for Chinese, or number three for Japanese. 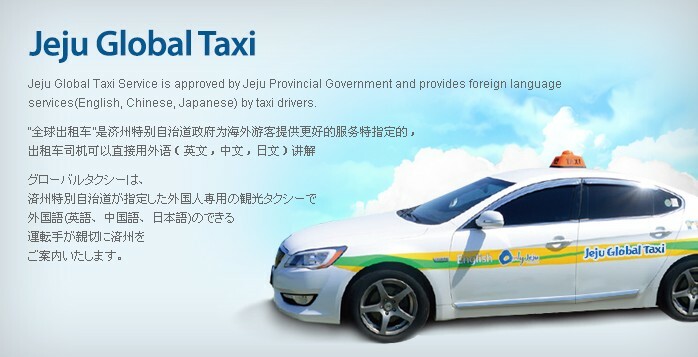 Even if you can’t find a global taxi, you can get a translation service in any normal taxi as well. Once in the taxi, simply call 080-840-0505 and then press the number you want to be put through to an interpreter who will speak to the driver. If possible, it can be a good idea to have the Korean name of the location you are going written in hangul before you set off. If you can have the address at hand too, that is also a good idea. That way, you can simply show it to the driver to get where you need to go. 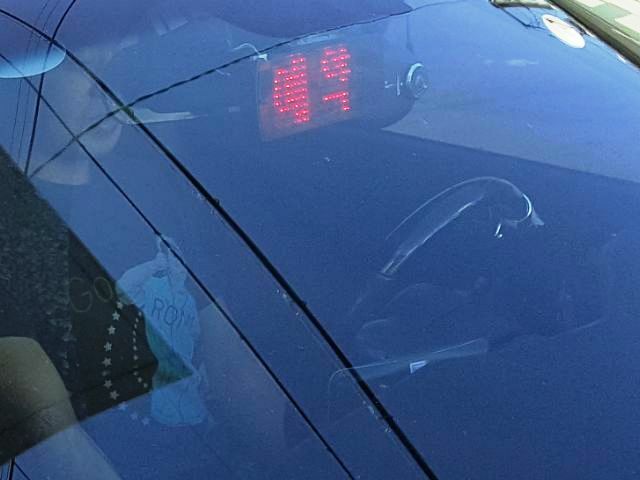 5) What does the light on the front of a taxi mean? Taxis in Korea have a light on the front that signals whether it is able to pick you up or not. However, the writing can cause confusion if you don’t read hangul. If you notice a taxi has its light turned off, it means that it has a customer and can’t pick you up. If the taxi has 빈차 lit up in red, it means that the taxi is empty and it can pick you up. However, if a taxi has 예약 lit up in red it means that it is empty, but reserved and on its way to pick someone up. The confusion comes from the fact that from a distance, or if you don’t read hangul, 예약 and 빈차 almost look the same. If you notice a taxi with a red light on and it doesn't stop, remember that it may have just been reserved!